On this date in 1802, the French novelist Victor Hugo was born. 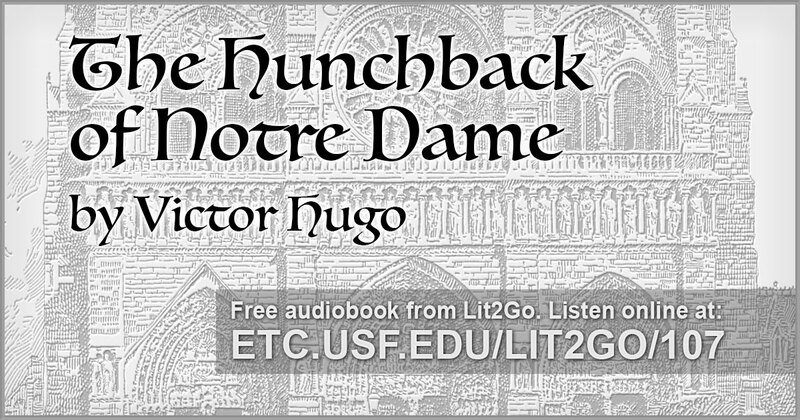 This collection includes an audiobook version of his classic, The Hunchback of Notre-Dame, along with many illustrations of the famous cathedral in Paris. Use this banner on social media to share our Hunchback of Notre Dame audiobook and teaching resources. 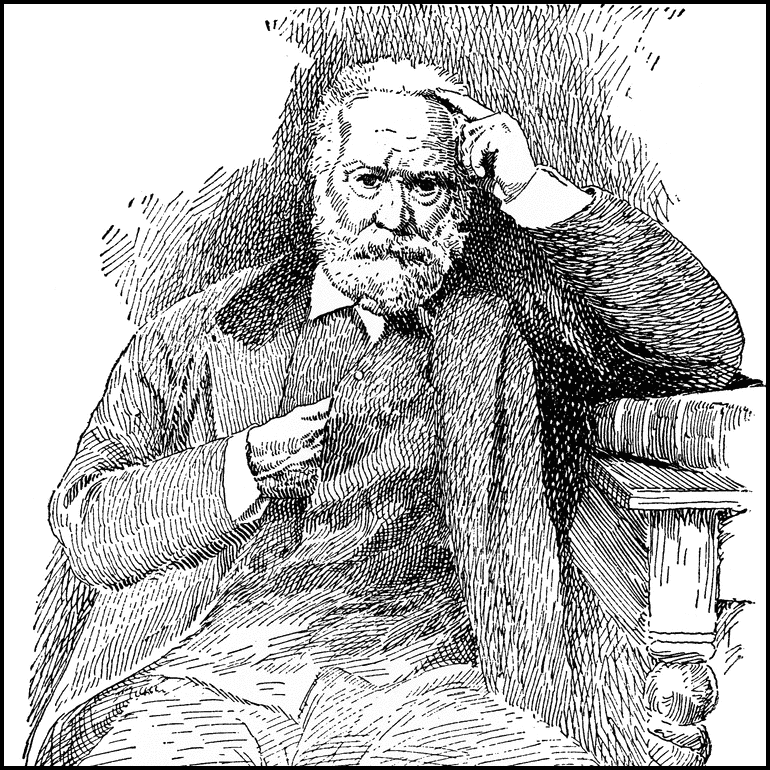 Victor Hugo from the ClipArt ETC website. 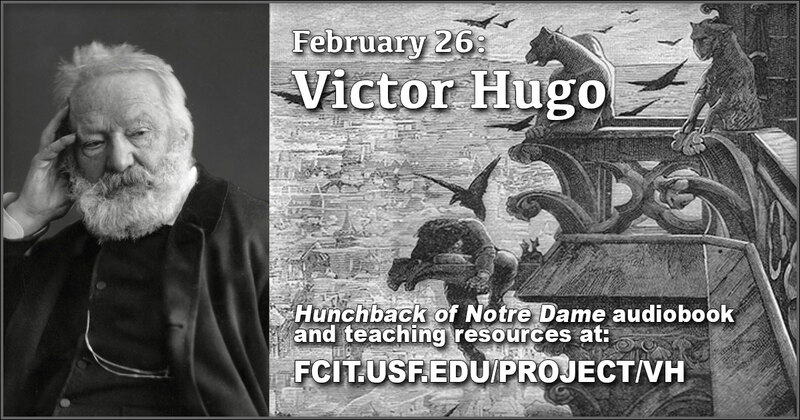 The Hunchback of Notre Dame by Victor Hugo from the Lit2Go website. Reading level: 12.0. Word count 197,948 in 60 chapters. 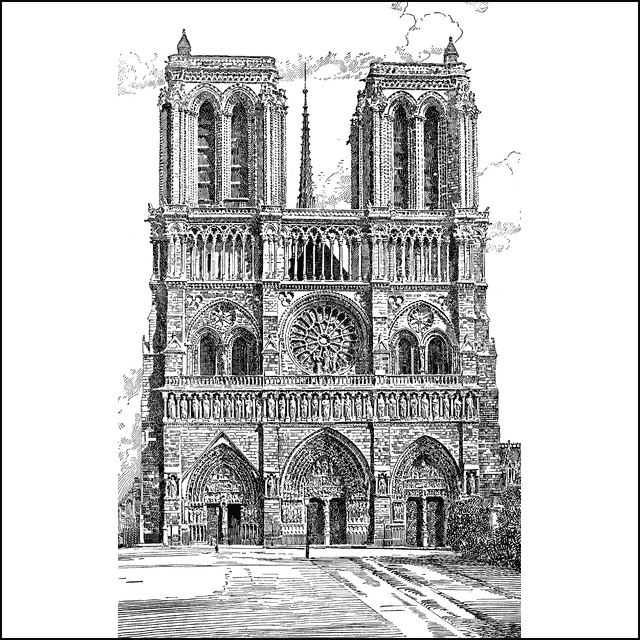 West façade of Notre-Dame from the ClipArt ETC website. 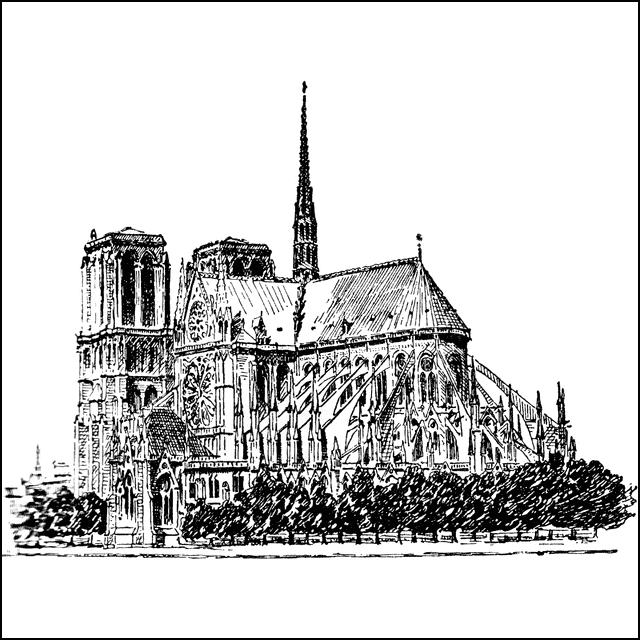 View of Notre Dame from the ClipArt ETC website. 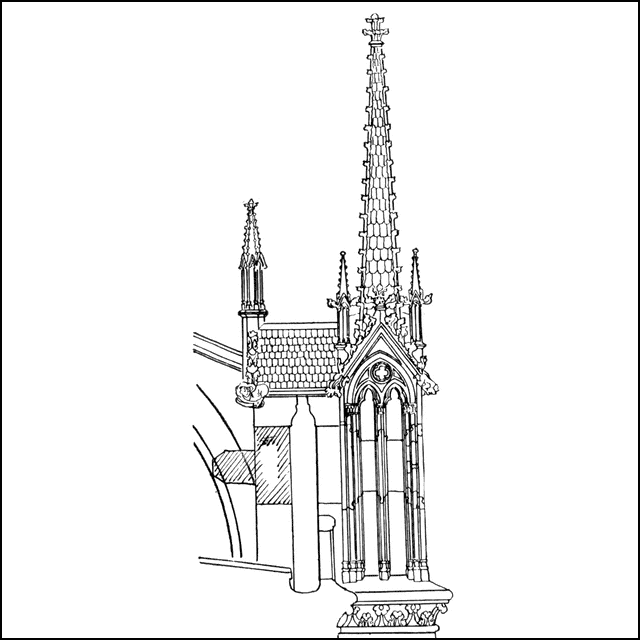 Notre Dame exterior as seen from the southeast from the ClipArt ETC website. 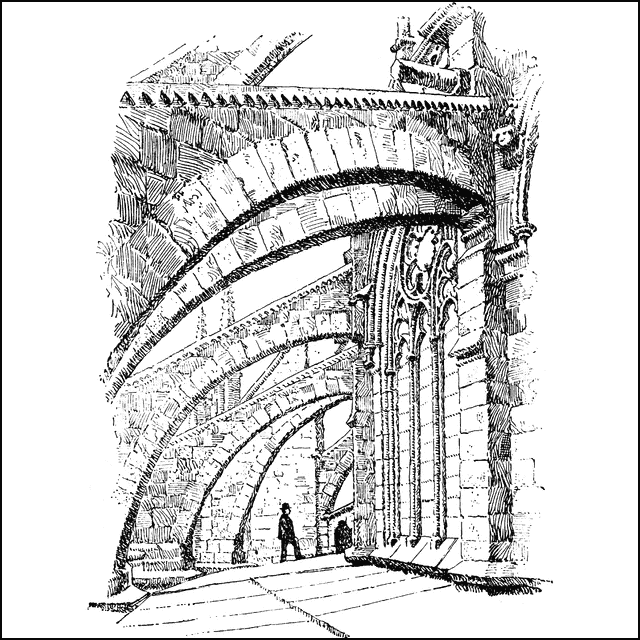 The flying buttresses of Notre Dame from the ClipArt ETC website. 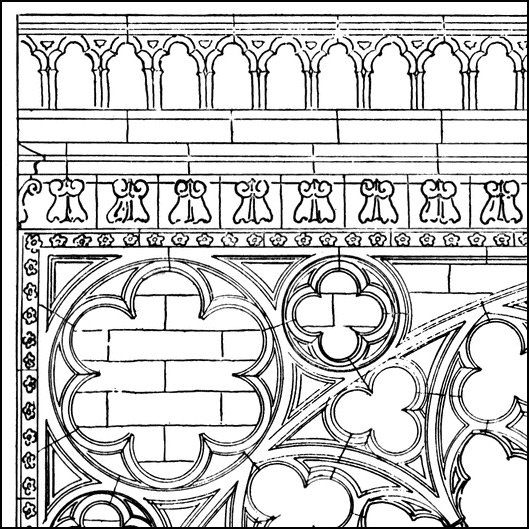 Detail from the transept of Notre Dame from the ClipArt ETC website. 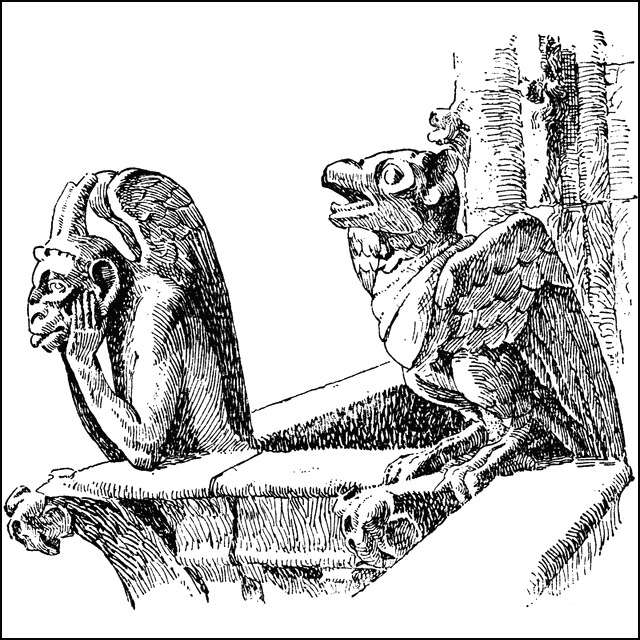 Gargoyles on Notre Dame from the ClipArt ETC website. 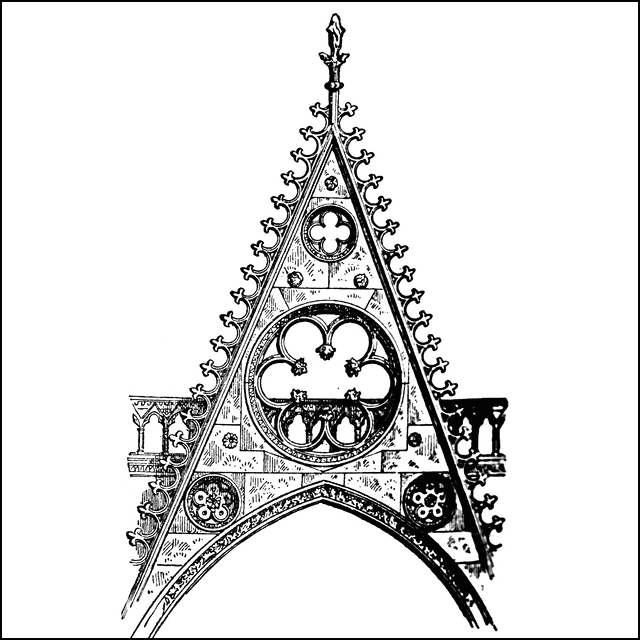 Gable above the south transept door of Notre Dame from the ClipArt ETC website. 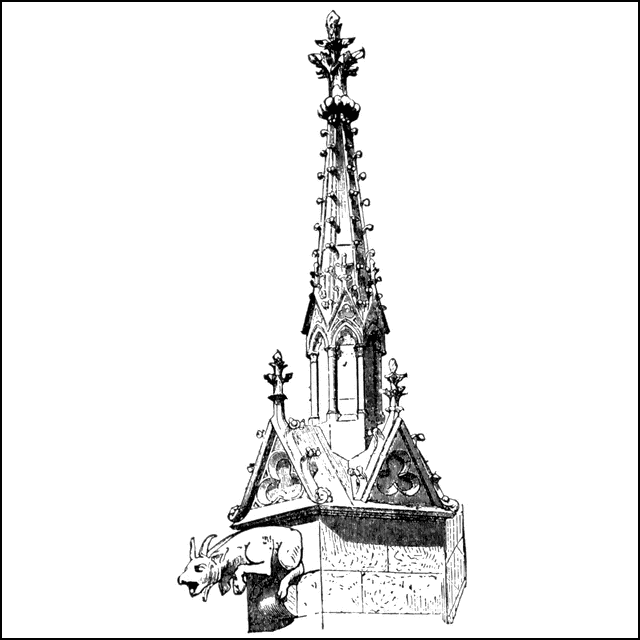 A buttress pinnacle from Notre Dame from the ClipArt ETC website. 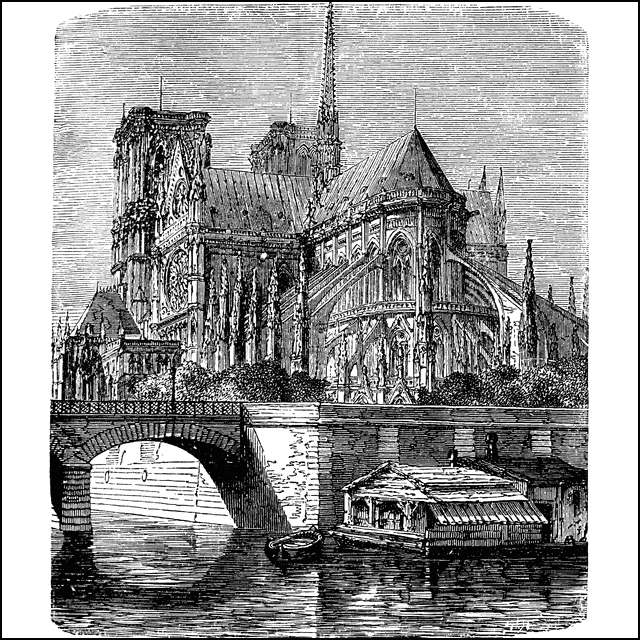 Clustered pier from Notre Dame from the ClipArt ETC website. 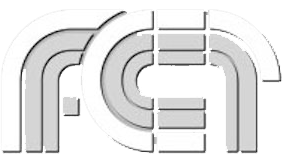 Top shows half-plan view and bottom shows elevation view of capital and base of pier. 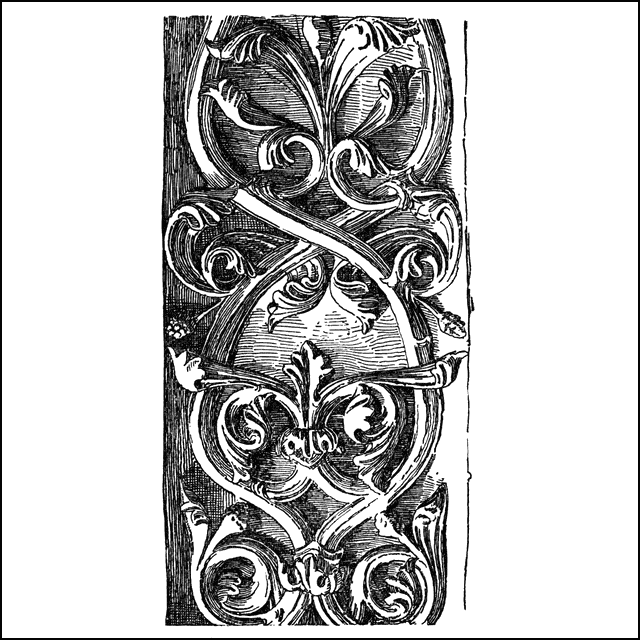 Reliefs from the base of portal of Notre dame from the ClipArt ETC website. 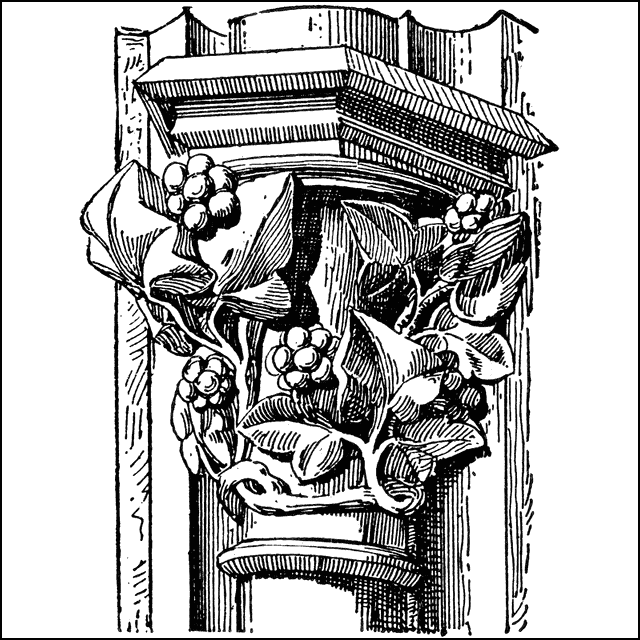 Capital from Notre Dame from the ClipArt ETC website. 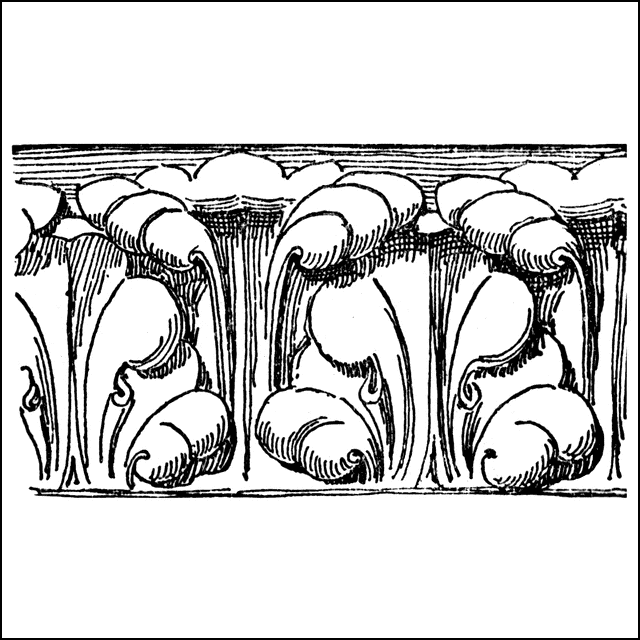 Illustration of a capital from the transept of Notre Dame from the ClipArt ETC website. 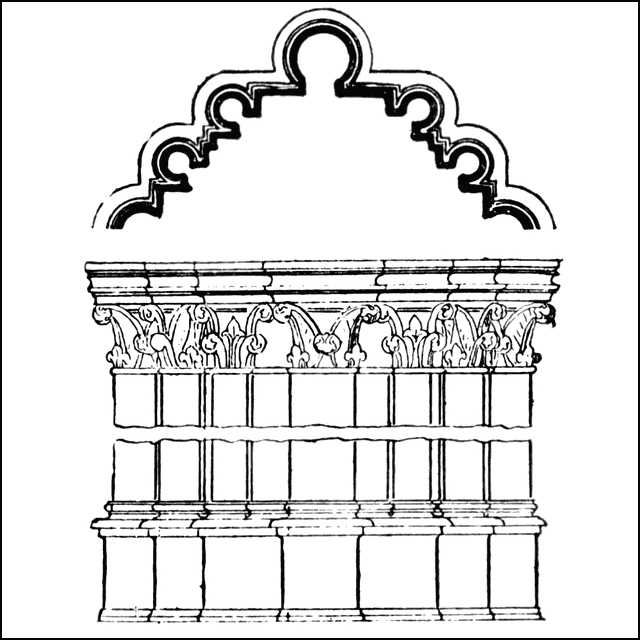 Cornice molding from Notre Dame from the ClipArt ETC website. 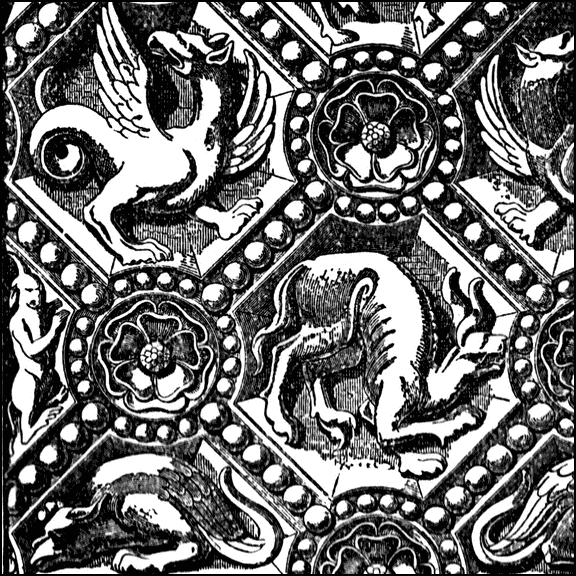 Thirteenth-century ornamentation from the ClipArt ETC website. 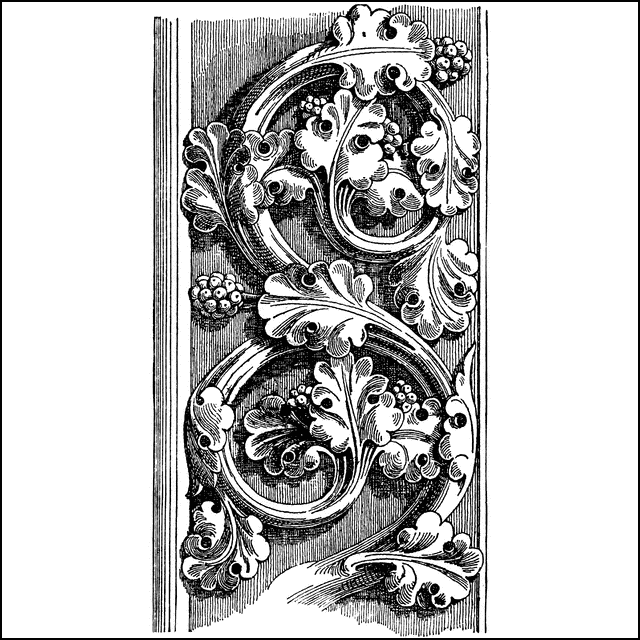 Ornamental relief from Notre Dame from the ClipArt ETC website. 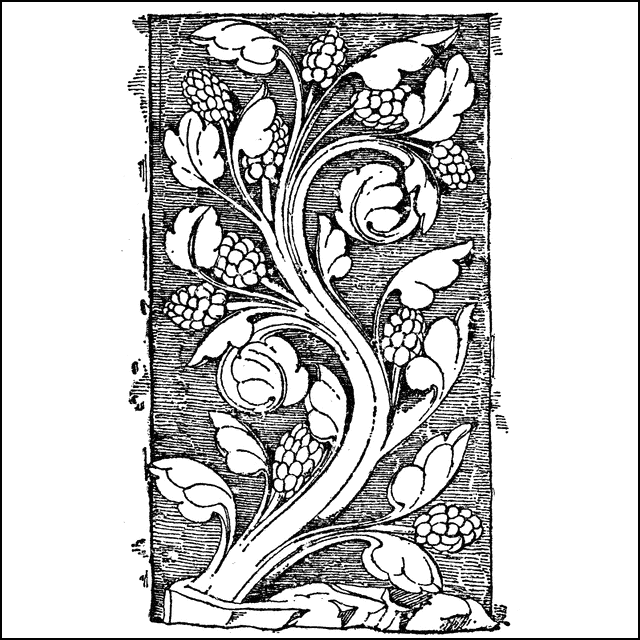 Vine ornament from Notre Dame from the ClipArt ETC website. 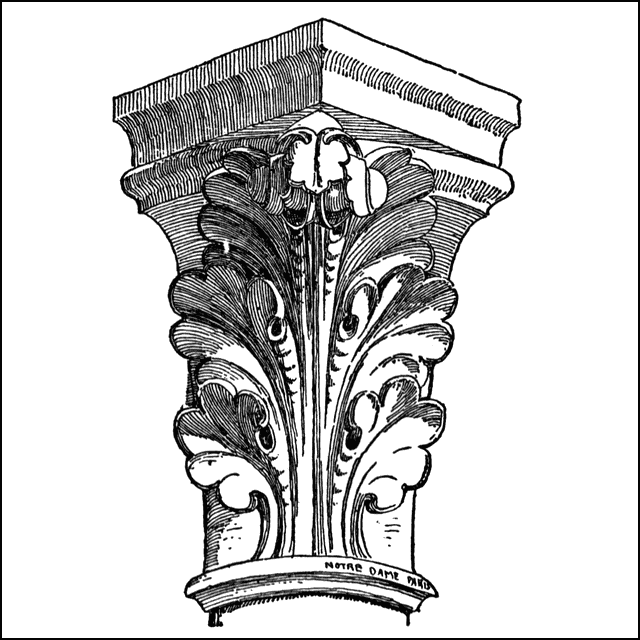 Called a rinceau (from the French for “branch with foliages”), such designs have been common to many architectural styles.